During my twin pregnancy, and not unlike my two previous pregnancies, I would race into Labour and Delivery anytime I felt something was a bit off. Whether it was unusual pains, less kicks than usual, lots of Braxton Hicks contractions, or a racing heart, I would go in and demand to be checked. Each time, I was properly assessed and sent home being told that everything was great and what I was experiencing was normal. One symptom that I always experienced during each of my pregnancies was low blood pressure. My blood pressure is always on the low end, but whenever I have been pregnant, it dips even lower. This is actually very common. It is caused by the hormonal changes, which causes a dilation of blood vessels, which in turn causes low blood pressure. For me, my low blood pressure would cause me to feel dizzy and lightheaded. My twin pregnancy was fairly uneventful. 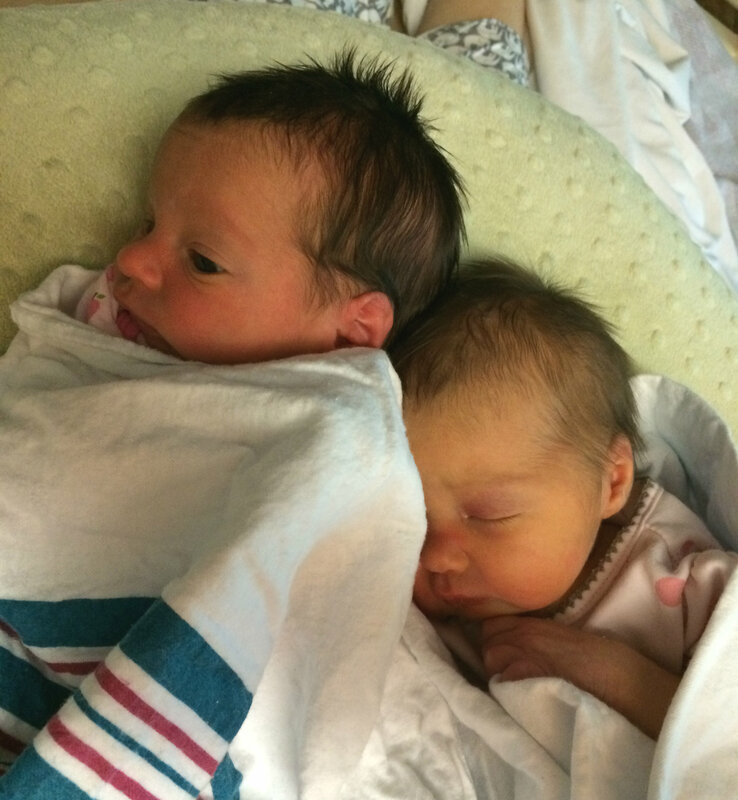 My twin girls were growing well, and although my body found it challenging, all three of us were healthy. 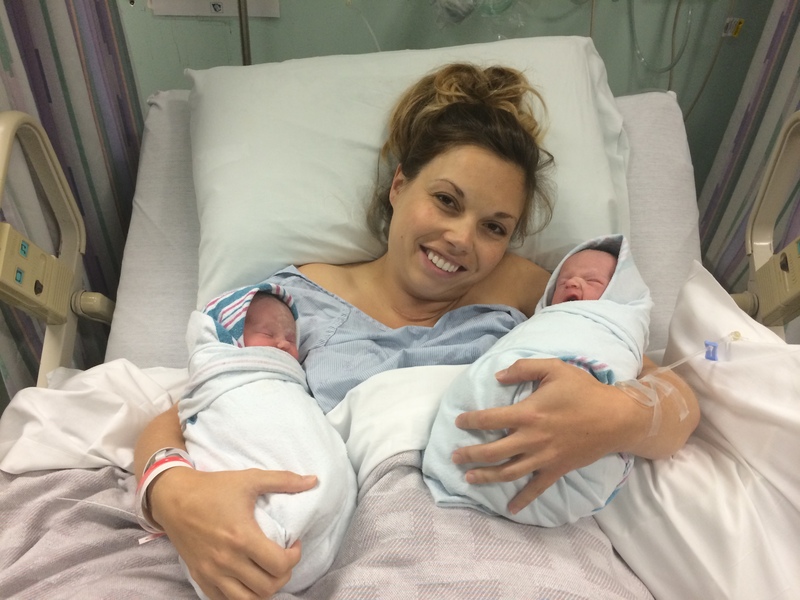 By the time I approached my 35th week, it was time to schedule my C-section due to my twins being breech. My doctor set the date for 37 weeks, four days. 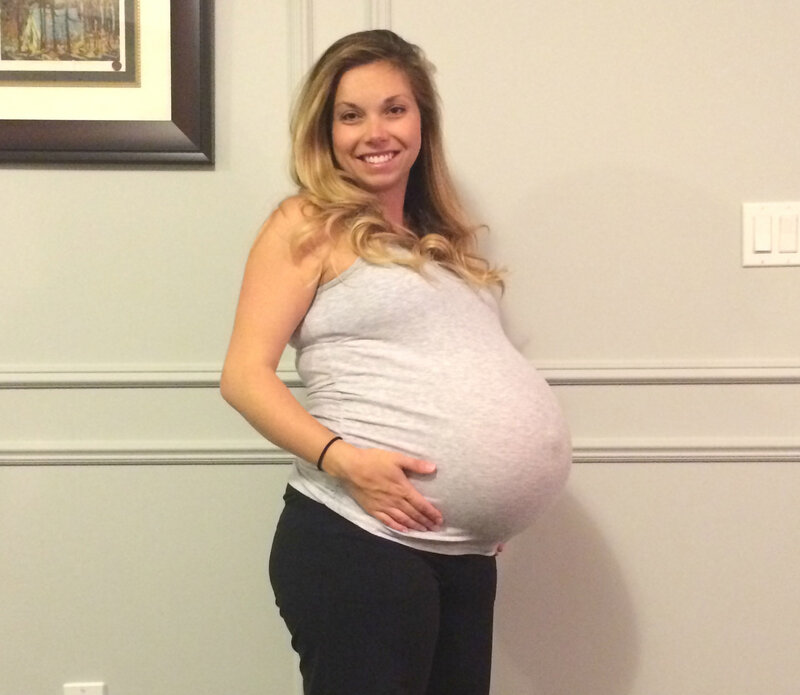 By the time I entered my 37th week of pregnancy, I started to relax about every little unusual symptom. I figured I was in the home stretch and there wasn’t any point in racing to the hospital. Just five days shy of my delivery date, I decided to pack my two older kids up and head to my parents for one last outing and family get-together. My husband was at work but thankfully I had our nanny, who was temporarily helping me with our older kids, with us. I drove all of us along the country road that connects my town and my parents’ town, and I was chatting away with our nanny who was in the passenger seat when suddenly, something went horribly wrong. I lost all of my peripheral vision. Picture looking through a pinhole in the center of a black piece of paper. It was terrifying. I had no idea what was happening. I had experienced moments of blacking out with my twin pregnancy after climbing the stairs, but this was different. I stopped talking and luckily found a shoulder on the side of the road to pull over onto. I sat there for a moment blinking, as my vision returned. To say our nanny was concerned was an understatement. I had her take over driving the rest of the way. This photo was taken minutes after arriving at my parents. At this point in my twin pregnancy, I was only able to stand for a minute at a time due to the strain my belly put on my body. When I arrived at my parents’ house, I told them what had happened. I had thought it had to do with my low blood pressure, but they knew better. My parents had each worked in the medical field, and were suspecting I might have preeclampsia. According to Baby Center, preeclampsia is “marked by high blood pressure and high levels of protein in the urine.” One factor that can put you at higher risk of preeclampsia is carrying more than one baby, and one of the symptoms of preeclampsia is a change in vision. Left untreated, preeclampsia could have had catastrophic and even deadly outcomes for both myself and my babies. When my parents took my blood pressure, they noted that it was within the normal range, but slightly on the high end. Although this was not an alarming number, they were concerned because they knew I usually have low blood pressure. I phoned my husband and we decided together that we didn’t think I should bother going into to the hospital. I was going to be heading there four days later, for my preoperative appointment, so we decided to just wait. From that point on, I had other people drive me around, and when it came time to head to the hospital for my preoperative appointment, I had a friend of mine drive me. We walked in, all smiles and almost giddy with the fact that I would be welcoming two babies the next day. I strolled into the assessment area, which I knew all too well at this point. A kind, older nurse, who I knew, started having me fill out forms while she checked the babies’ heart rates. Then she began checking my blood pressure. A look of concern spread across her face. I turned from my friend, ready to listen to what the nurse was about to tell me. My blood pressure was high, scary high. After she peppered me with questions, I filled her in on my terrifying experience while driving. Almost immediately I was rushed to a bed in labour and delivery, and what was supposed to be a short appointment turned into hours of assessments by various doctors trying to decide if they should take the babies out right then, or wait until my scheduled C-section the next morning. In the moment, I think I was in shock. I just laid there, being examined over and over again. It was finally decided that they could wait until the next morning, because my blood pressure had gone down a bit, but not a minute longer. I was relieved that I would be able to get one more nights sleep and be able to keep my babysitters that I had orchestrated so carefully for my older kids, in place. The next morning went on without a hitch. My girls arrived pink and screaming at 8:08 a.m. and 8:09 a.m. We were over the moon and thankful that everyone was healthy. I was told that the sweet nurse I had seen the day before, had called multiple times after her initial check-up with me, asking about my wellbeing and making sure that I was being taken care of. Now that I have had over a year to digest the events leading up to my twins’ delivery, I almost can’t wrap my mind around what a toll my pregnancy took on my body. I should have gone straight to the hospital after my vision-loss incident. Don’t forget to follow Nesting Story on Facebook and Instagram! I am surprised your parents didn’t insist on you going to the hospital after examining you, if they are in the medical profession. I can definitely relate to this! The scariest things are the ones that seem unassuming and easily overlooked! 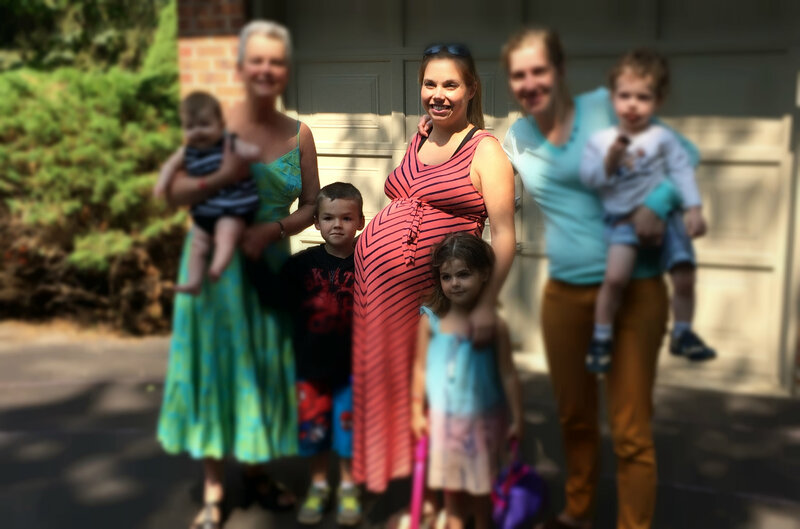 At 24 weeks into my twin pregnancy, it was discovered that one of my sons’ amniotic sacs had ruptured–essentially, my water broke. It was only a small tear, so it was a very small amount of leakage–small enough that I thought nothing of it. But the baby had lost a substantial amount of amniotic fluid, and was in danger of triggering a scarily premature labour. Fortunately my obstetrician caught it during a routine ultrasound exam, and the next day I was sent to stay indefinitely in the hospital’s high-risk pregnancy wing. 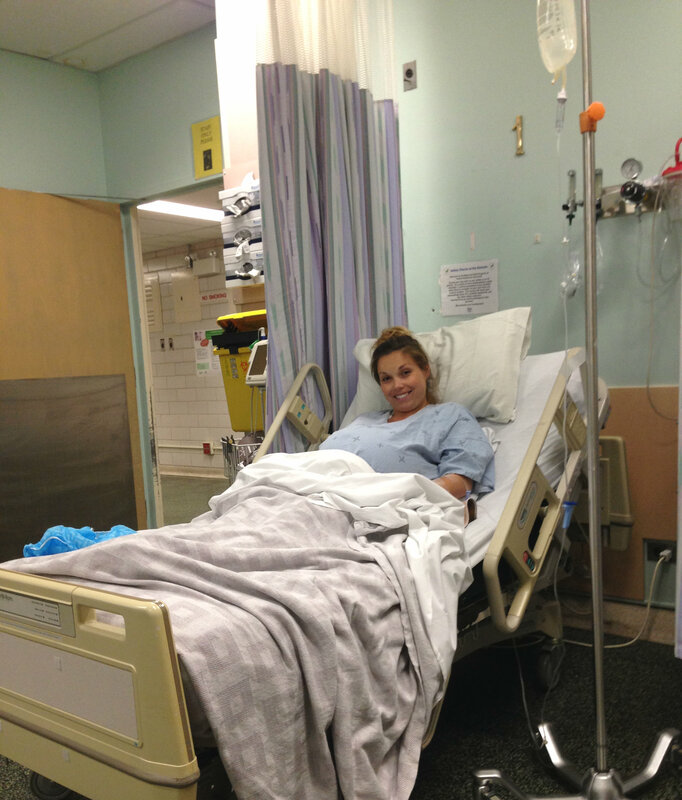 I ended up on hospitalized bed-rest for all of month 6 of my pregnancy… By a miracle, the tear healed on its own! I get chills thinking how quickly, and utterly wrong things could have gone… But all the more thankful for all the amazing advances in medical technology! And cheers to both of us now having healthy twins!